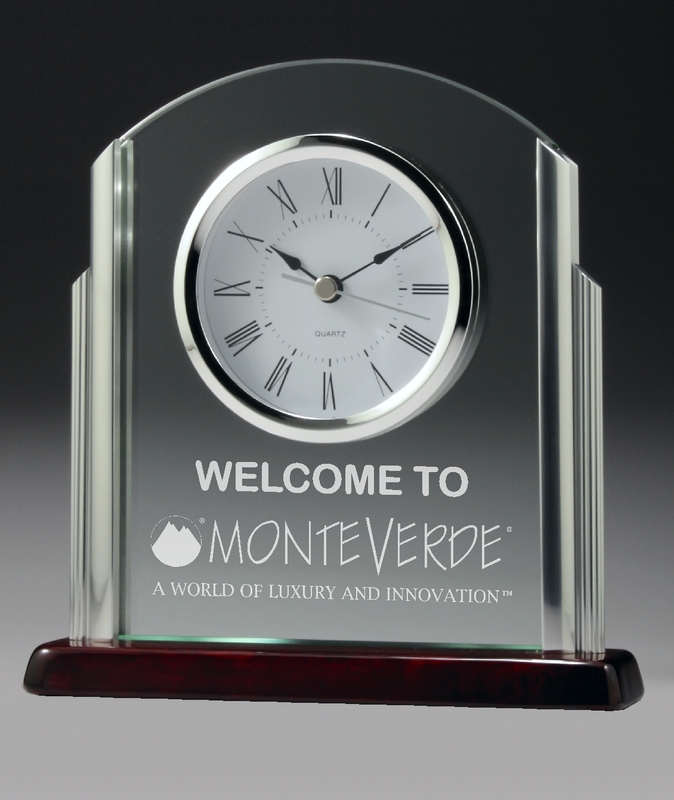 Reward success and achievement with these Elegant timepieces. 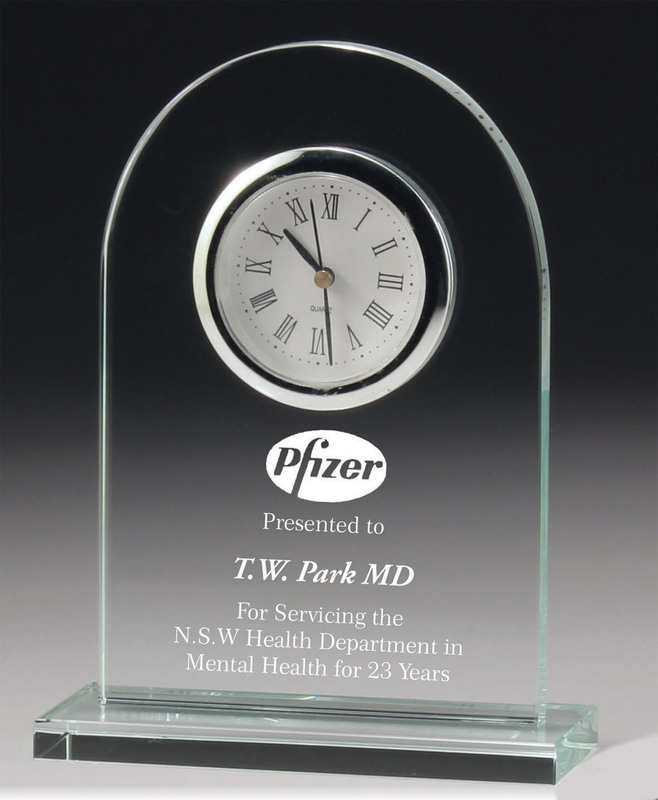 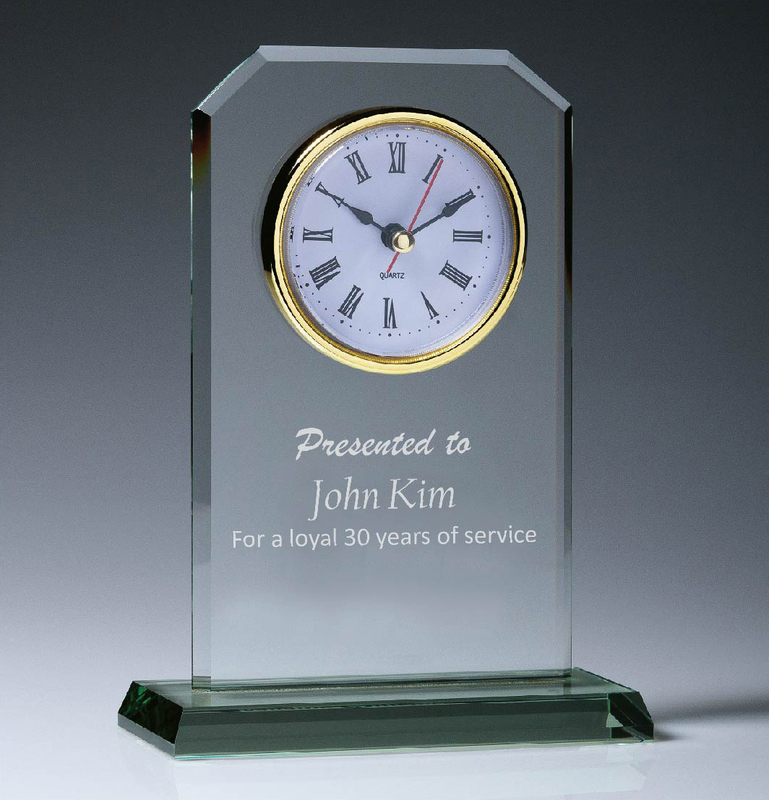 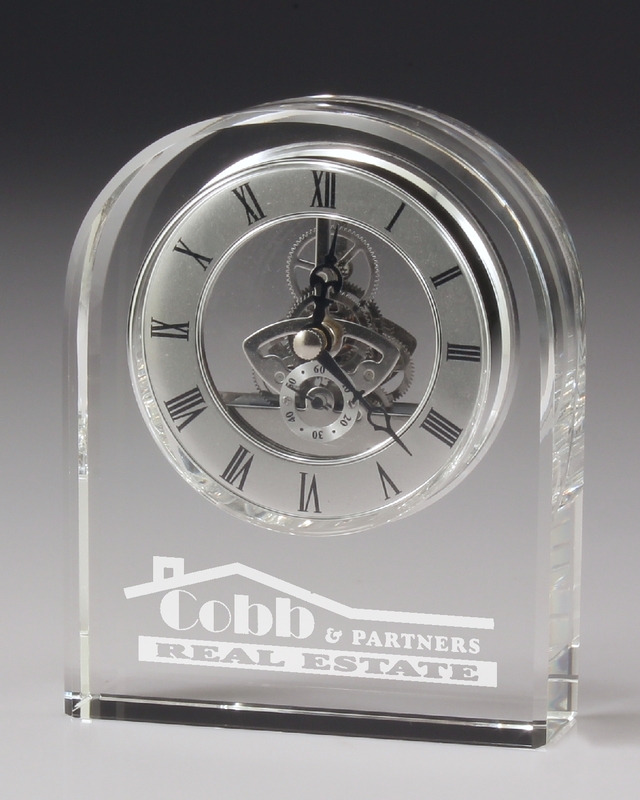 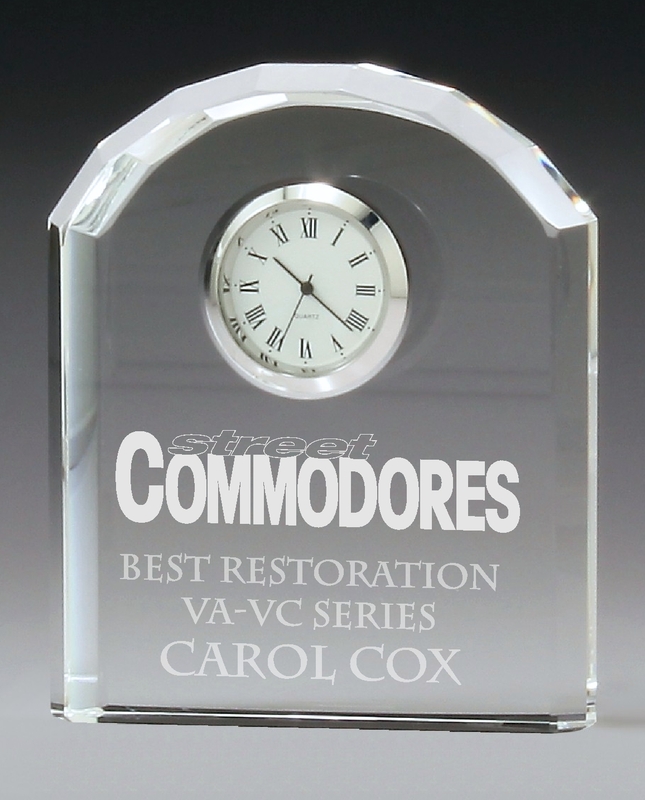 Recognition which can be customized and engraved with your logo and text. 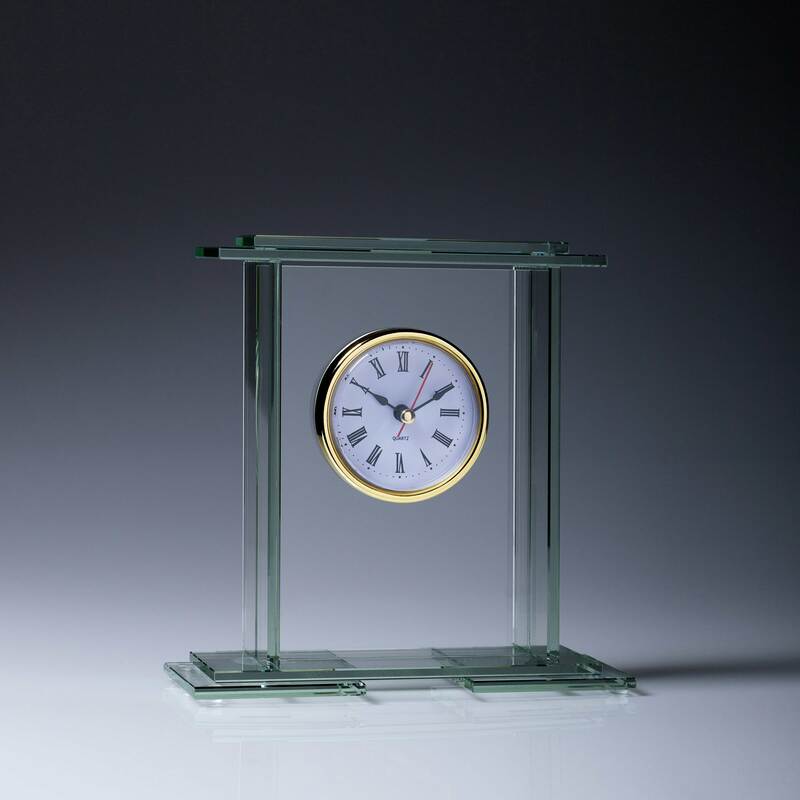 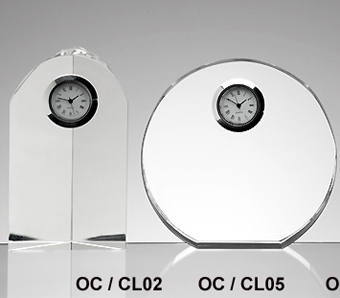 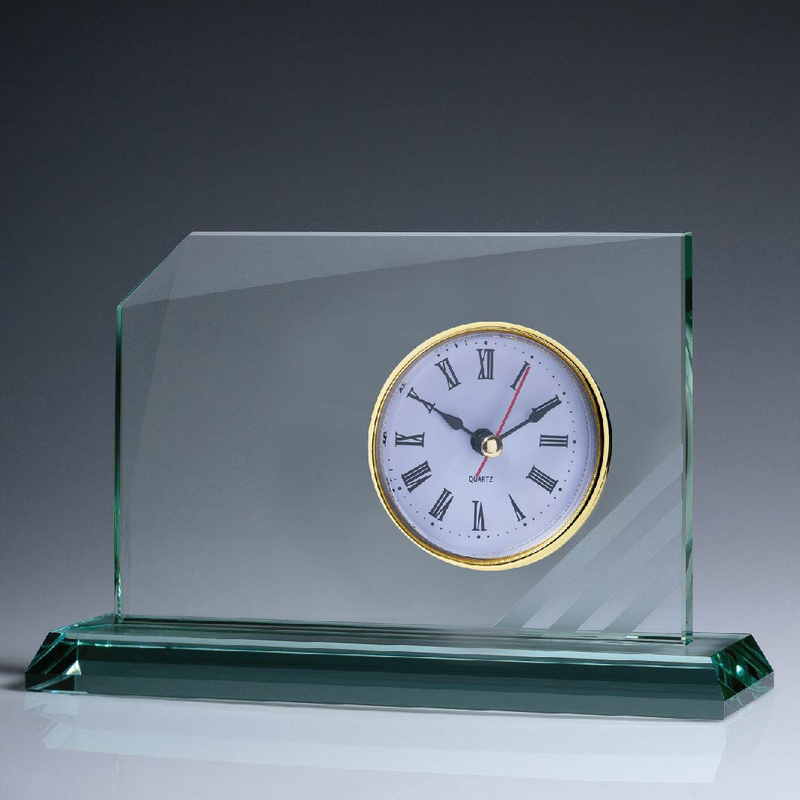 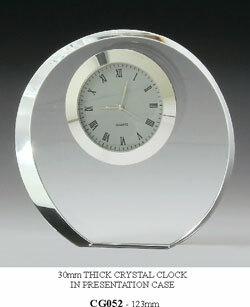 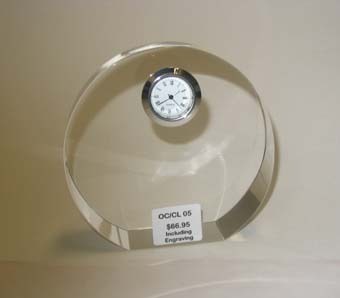 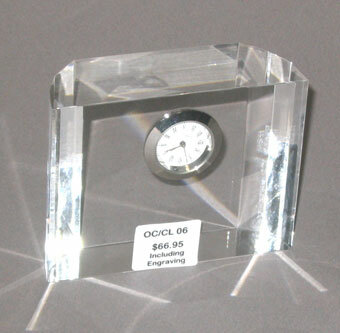 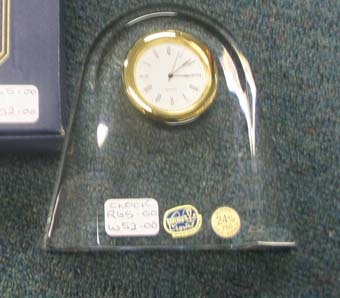 Optical Crystal clocks made from the best optical crystal. 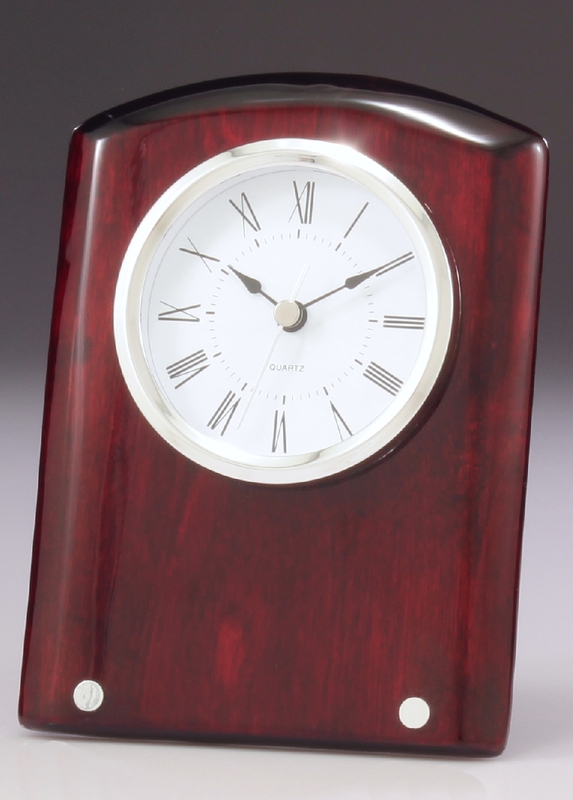 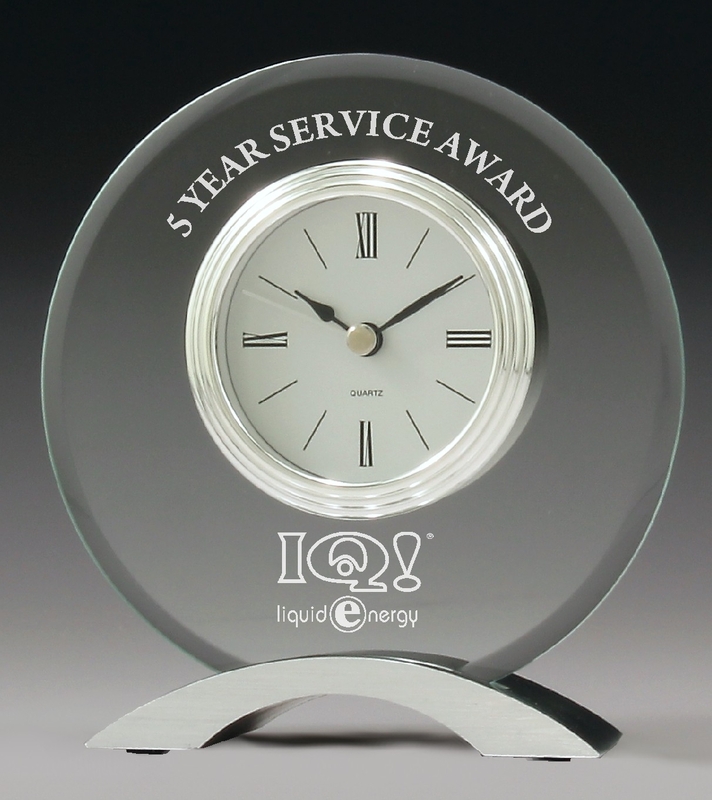 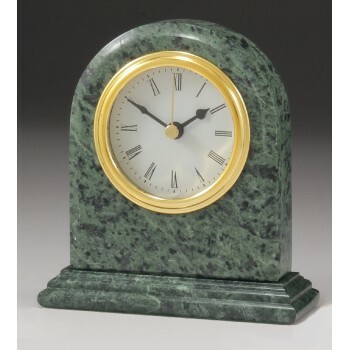 Doubles up as a functional clock and sitting on a desk will always be a reminder of the award achieved. 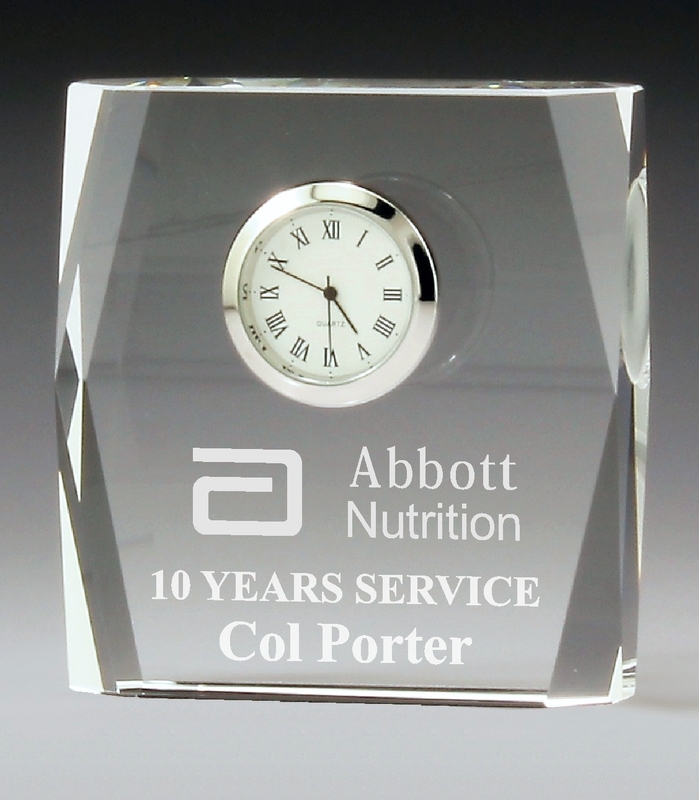 Laser engraveable. 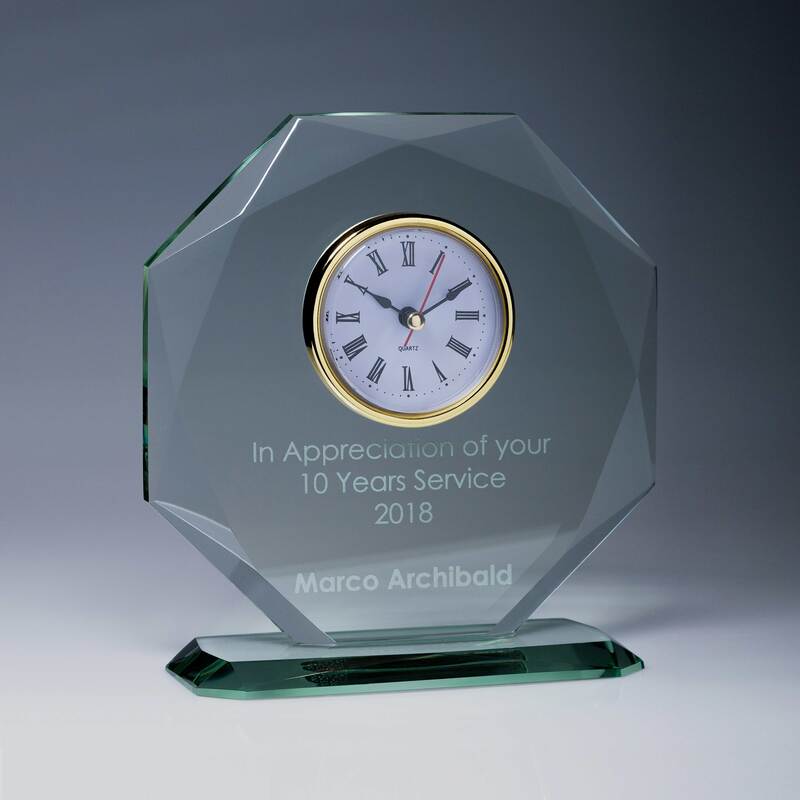 Can be used as a clock only or as an award which will constantly remind the person of their achievement everytime they look at the time.